The Hostal de La Noria can be found just two blocks from the main square in the historic center of Oaxaca. The building that it occupies was a colonial mansion in its former life, so it has plenty of historical appeal and fits in well with its surroundings. This doesn’t mean that modern amenities are lacking, however. Wi-Fi is available at no extra cost, and each of the 52 colonial style rooms are equipped with air conditioning, digital phones, and cable televisions. At the Hostal de La Noria, guests can choose from a few different room categories. 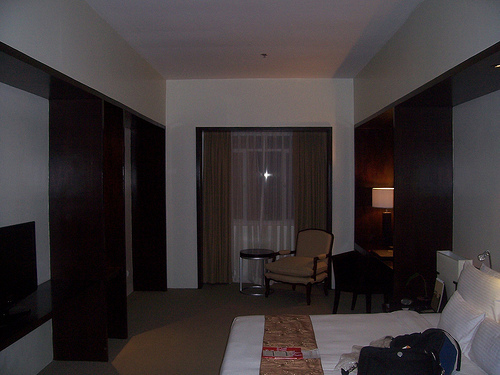 There are standard rooms, junior suites, and deluxe suites. The difference between the guest units basically comes down to size. All have private bathrooms with showers and provide their guests with a satisfying array of amenities. Outside of the Hostal de La Noria guest units, there are some enticing facilities to take advantage of on the side. Highlights include a rooftop solarium, a lovely atrium with tables, and a delightful restaurant. Only serving to accentuate the appeal of the Hostal de La Noria are its reasonable rates, the likes of which include complimentary breakfasts. Special lodging discounts are offered with regularity, so it can be a good idea to check for deals when booking. Guests who are trying to get to the Hostal de La Noria in Oaxaca can arrange airport transfers through the hotel for a reasonable fee. Those who are driving themselves should be happy to know that free indoor parking is available. Also of interest is the fact that Hostal de La Noria guests can arrange tours through the hotel with ease. They can also hire a private car and driver for their area excursions.